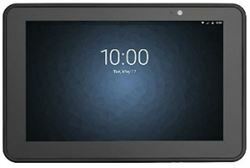 Prime Interway - TABLET CORPORATIVO ET50, TELA 10.1, ANDROID 5 SEM GMS, WIFI, NFC, 2GB/32GB. COTAR BERCO. TABLET CORPORATIVO ET50, TELA 10.1, ANDROID 5 SEM GMS, WIFI, NFC, 2GB/32GB. COTAR BERCO. ET50PT-L15E-00A6TABLET CORPORATIVO ET50, TELA 10.1, ANDROID 5 SEM GMS, WIFI, NFC, 2GB/32GB. COTAR BERCO.